choose from the Cedar Valley Series. These gracious floor plans are designed with generous living space, style and affordability in mind. Great for first time home buyers. The Cedar Valley Series helps you to keep costs under control in a number of ways, including maintaining a smaller square footage and offering truss roof systems exclusively. And because they are from Ward, you can be assured that high quality logs and brand-name components, such as Andersen® 200 Series Windows and Therma-Tru® "Smooth Star" exterior doors, will be part of your cedar log home. Don't see a plan you like? 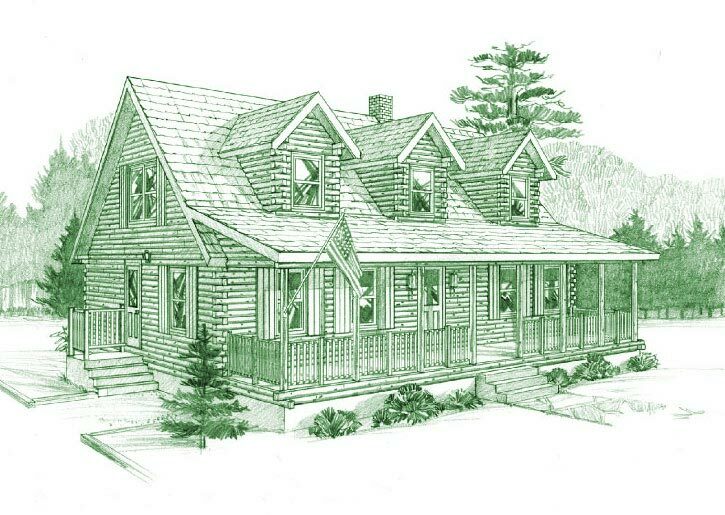 That's fine, we do complete custom designs to meet your log home needs. Contact us today to find out how we can take your dreams to reality! 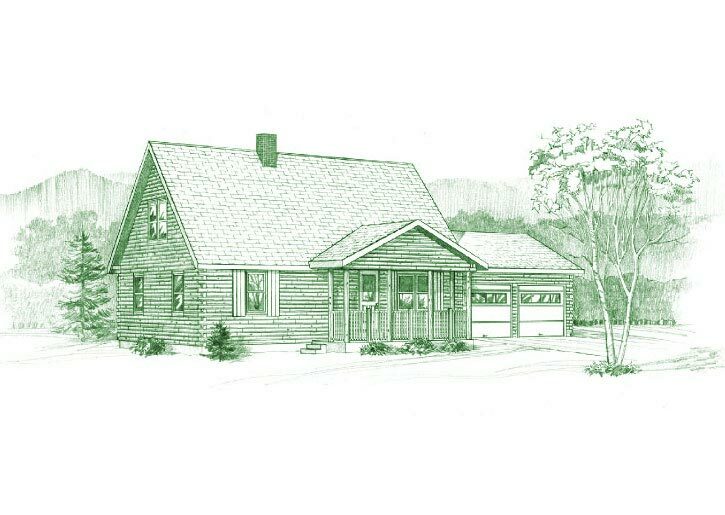 The Cedar Falls is styled for comfortable living with three bedrooms and two full baths. The impressively-sized living and dining area of the Cedar Grove greets you as you enter, and is connected to an efficient kitchen. 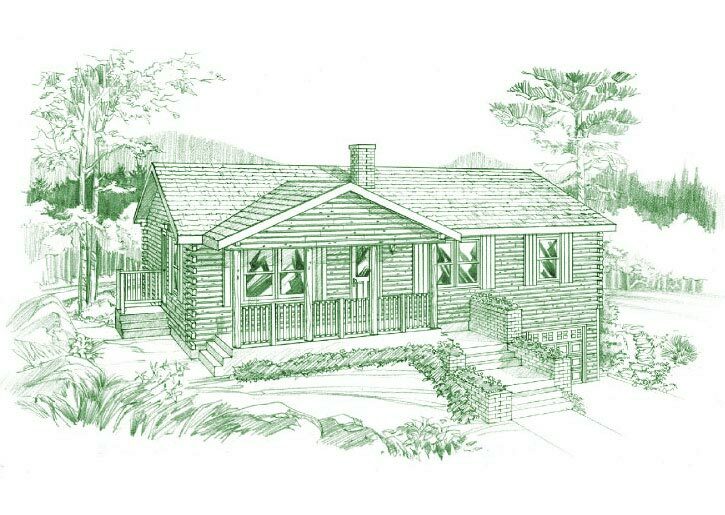 The cozy, affordable Cedar Heights would be a perfect vacation retreat or efficient year-round home. 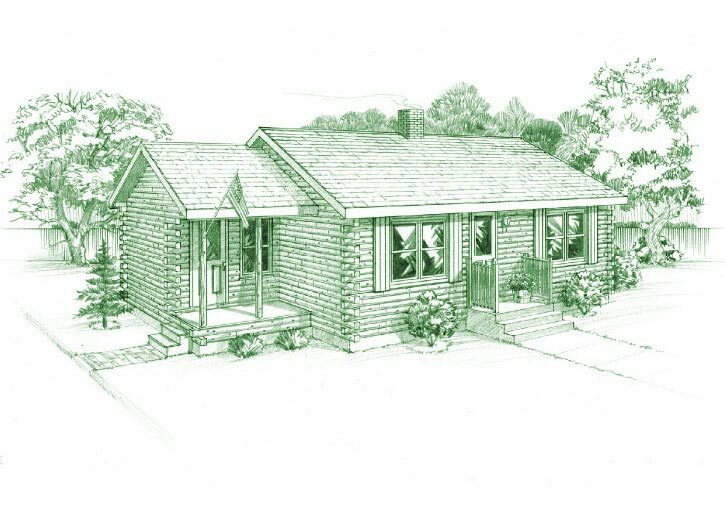 The Cedar Lane is an affordable family home that you can really make your own.